Good afternoon from a wild, wet and windy Surrey. I thought to cheer myself up I would show you some of the Christmas cards I made whilst I was on holiday - hence the title lol - (actually I am procrastinating, I should be doing paperwork, writing Christmas cards and getting the house decorated but my head isn't in it), but I am missing the warmth and sunshine. I made this card after visiting some friends in Fuerteventura, the colours of the sea and foam were my inspiration. I sent them the card from Lanzarote, before we came home. I took such a small amount of supplies with me. 2 pencil cases with glue, double sided tape, one DI pad, a glittery and a gold pen, scissors and ruler. A plastic folder with some designer papers, punched snowflakes and small embellishments, some music paper, ribbons and lace. This is Ken and I on our balcony the day we came home, seems strange it was only a week ago yesterday. Looks like you were enjoying yourself despite the fact it was taken on your last day!!! Love those cards matey - how enterprising taking a small but carefully selected amount of stash - brilliant idea. Brenda, lovely cards! 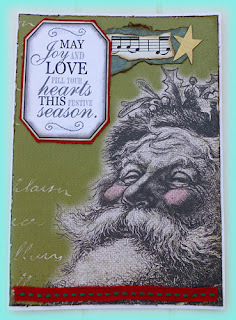 My favorite is the last one - wonderful collage and the image of Santa is the best! (altho they are all fabulous! How did you achieve the white glow around Santa in your final card, and where did you find that adorable image? LOL questions questions. I also took cardmaking things when we were on a 7-day Caribbean Cruise. Sigh. LOL It was very enjoyable! Thanks for visiting my blog this morning. ((hugs)) for a wonderful Christmas season! Lovely cards, Brenda. So glad you enjoyed your holiday. Me, I'm just glad my new furnace is in and I have heat. Merry Christmas! 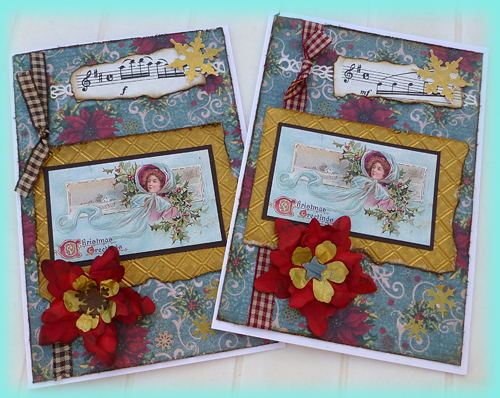 Gorgeous cards, Brenda...beautiful makes during your holidays...love the photo of you and Ken...só relaxing...have a wonderful weekend! 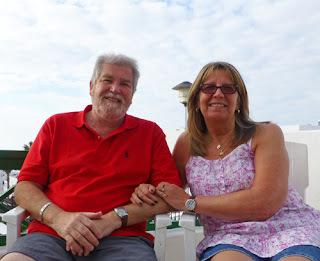 Firstly I have to say that you both look so relaxed in your photo...must have been a great holiday! 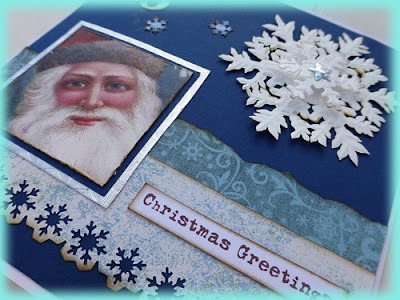 You made some fab cards...love that father Christmas stamp and all those medallions are great! Liebe Brenda, die Karten sind Klasse geworden. Farblich ein Hingucker und einfach toll! I'm also having terrible trouble getting my head into the Christmas preparations which I HAVE to be getting on with - lovely to take some time out to have a look at your fab cards... amazing from such a tiny stash! And yes, what happy sunshiny faces - I can see why you're missing it! Doesn't this prove what can be created with so few supplies, bravo to you as they are a beautiful collection. Today the rain is battering against the windows and there has been literally no daylight to speak of. Hello Ken and Brenda! So lovely to see you both again! Amazing Christmas cards, especially considering the limited supplies on hand! Hope you have a fabulous weekend! Hugs! 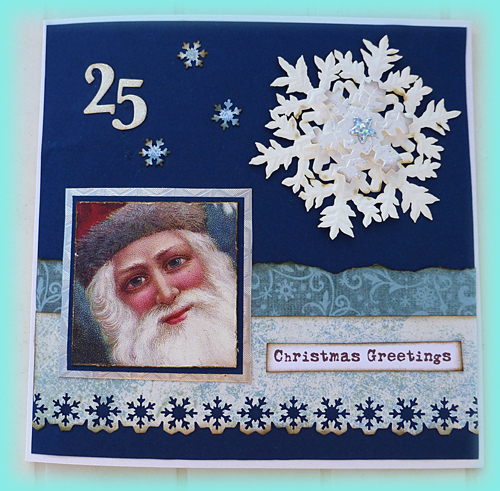 You've created wonderful cards, great Christmas feeling. Your cards are goreous . . . I found you through a mutual follower, and I am delighted that I did. 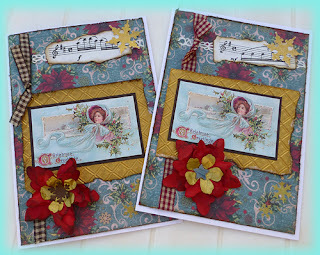 Beautiful and very creative cards!!! Please visit and enter my Give-Away. You sure made a lot of beautiful cards with your small stash of supplies, Brenda. I always mean to travel light and I'll have to remember your success next time travel is on my agenda.